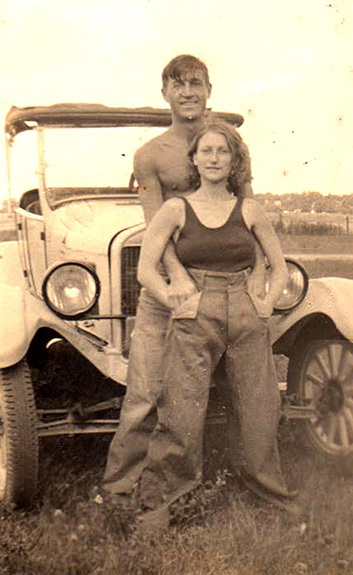 Franklin Paul Rogers was born in 1905 in North Carolina. 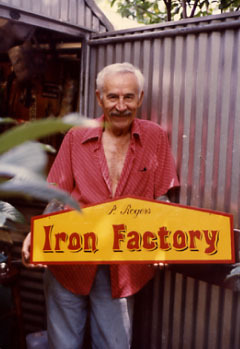 Paul started his tattoo career in 1928 and for the next 61 years, Paul pursued this art form. He not only was a tattoo artist but he also built tattoo machines and was a mentor and friend to tattooers both young and old. When Paul died in 1990, he donated his extensive tattoo collection to the Tattoo Archive. In 1993, C.W. Eldridge, Alan Govenar, D. E. Hardy, and Henk Schiffmacher formed a nonprofit corporation, The Paul Rogers Tattoo Research Center ("PRTRC"), where they serve on the Board of Directors. 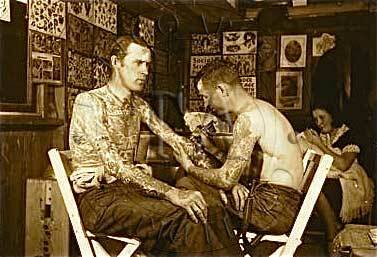 The primary goal of the PRTRC is to preserve tattoo history. To this end, the PRTRC works with other tattoo organizations and individuals worldwide to document and promote tattoo history and is working toward establishing a national landmark for the art of tattooing. As with many nonprofits, the PRTRC depends on volunteers and donations for its continued existence. For your $40.00 donation you will receive Alan Weller's book Tattoo Art. This book includes images of tattoos, over 200 illustrations that showcase the ornamental art form and represent authentic styles — Japanese, Polynesian, Tribal, Mendhi, and more. With copyright-free images ranging from stylized birds and animals to head-to-toe abstracts, this set will be a treasured resource for artists and tattoo buffs. A CD is also included. For your $60.00 donation you will receive a set of 9 sheets of "Dok" Tom Slick's black and gray flash featuring unicorns, snakes, girls, American Indians, and more. Dok Slick was the owner and operator of American Tattoo Company in Portland, Oregon. Circa 1980s, 11 x 14. For your $100.00 donation you will receive a fantastic set of line drawing flash by the Swiss tattooist Filip Leu. Filip visited Paul Rogers in the 1980s and drew this flash from Paul's classic designs. We are grateful for donations of any amount which are tax-deductible to the fullest extent of the law. We thank you in advance for your generous support of tattoo history!